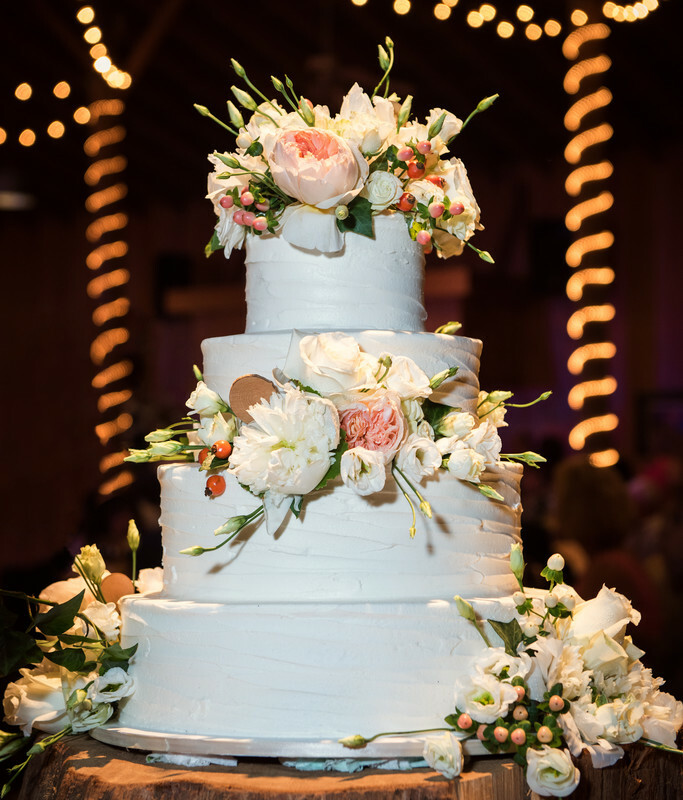 Delectable tower of loveliness was created by Couture Cakes. The pretty flowers that adorn it were arranged by Julia Greer Fobes. Erin and Mark's guests got to enjoy food and fun at their Oak Hollow Farm reception.